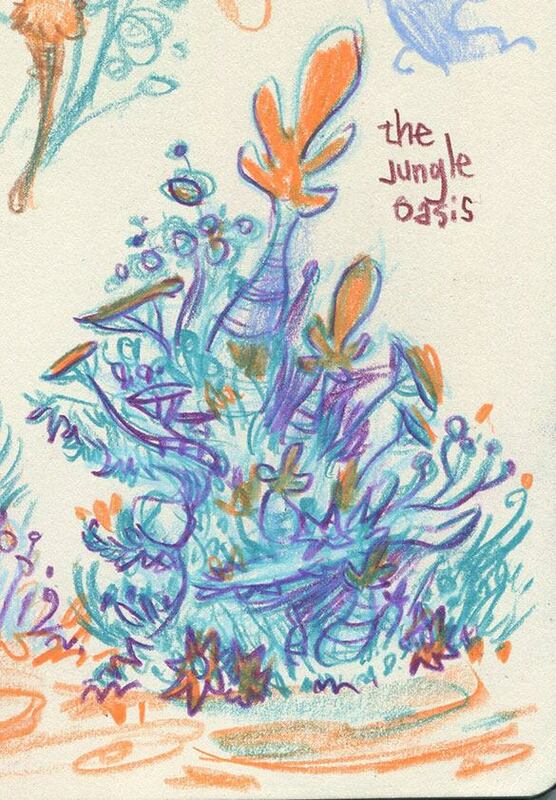 Here’s a little sketch of the Jungle Oasis on Planet X where Jeff and Muffin make their homes. It looks different here than what you’ve seen in the comics as I’ve been imagining it being more of a coral reef kind of place lately, with several levels and nooks and crannies. Maybe we’ll see it show up like this in the future!